The husband and wife duo who own/manage the property were absolutely awesome -- friendly, helpful, knowledgeable and just plain interesting! Of all the city apartments we have ever stayed in this was by far the nicest. 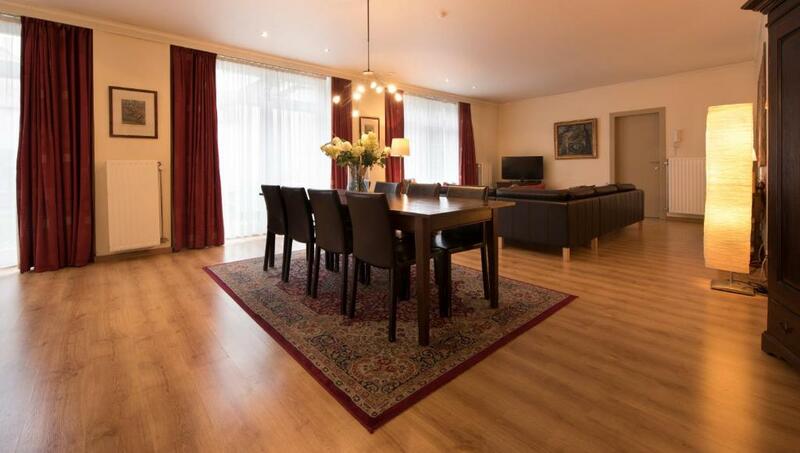 Huge rooms with very high end facilities in an amazing central location! Property is exactly as pictured. Bakery and honesty bar excellent. Location amazing. Very close to everything. Bruges extremely charming and we loved our time there. We stayed in the st Jacob apartment and we were only three-we had tons of space. We could have had 7 more people with us. Kitchen extremely well equipped. We made dinner there easily. Linens clean and beds very comfy. Nico was very kind and even printed train tickets for us. A wonderful place. Do stay, you won’t regret it. The honesty bar was fantastic and the fresh bread delivery. The apartment was fantastic, the photos don't do the place justice. Nico was very welcoming. The location, the honesty bar, the helpful recommendations from our host (we visited all of them and were so impressed), and above all the sheer size of the apartment. Well stocked apartment with everything one could need. Nice host with clear guidance on relvant things. Very spcacious apartment. 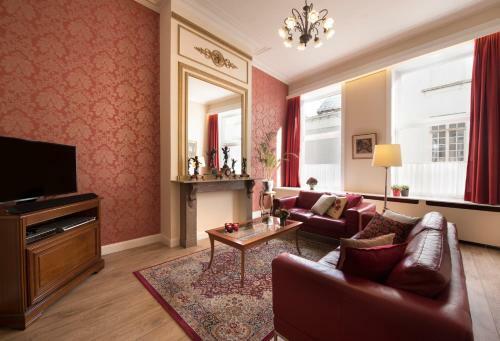 5 mins walk from the market square and most other attractions in town. The property was fantastic! Everything was well appointed and extremely comfortable. Hosts were very informative and helpful with sights. Highly recommend!!!! Lock in a great price for De Drie Koningen – rated 9.6 by recent guests! 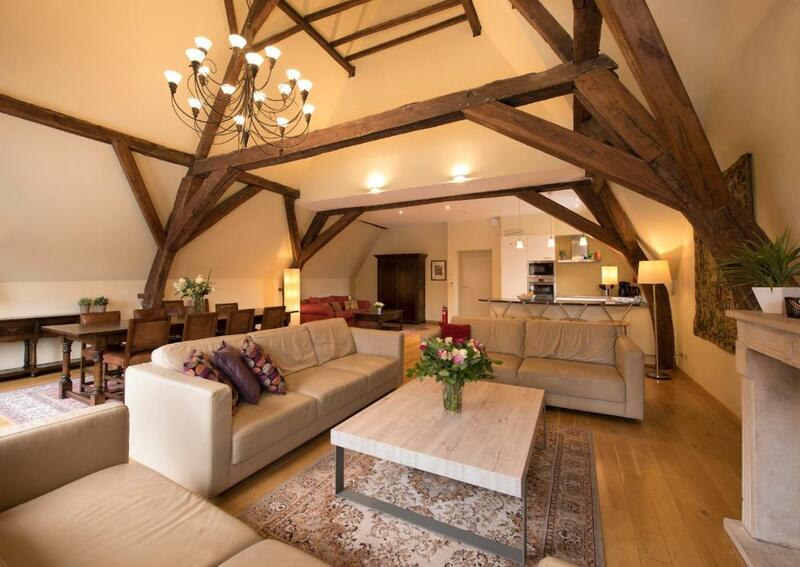 One of our top picks in Bruges.Drie Koningen offers spacious apartments with free Wi-Fi and access to a courtyard garden with a plunge pool. They are only 800 feet from the Markt in the center of Bruges. The UNESCO World Heritage-listed Beguinage and De Halve Maan Brewery are a 15 minute walk from the apartments. Oostende and the coast is 30 minutes’ drive away. The spacious living area includes a CD player and a flat-screen cable TV with a DVD player and DVDs to borrow. Guests can also make use of an iPad with information about the guest house and the city of Bruges. The kitchens are fully equipped with a hob, refrigerator and tea and coffee making equipment. A washing machine, dryer and ironing facilities are also provided. Drie Koningen has an honesty bar where guests can enjoy a wide variety of local Belgian beers. A bread delivery service is offered every day of the week including Sundays. Bruges Historic Center is a great choice for travelers interested in beer, atmosphere and ambiance. This is our guests' favorite part of Bruges, according to independent reviews. This property also has one of the top-rated locations in Bruges! Guests are happier about it compared to other properties in the area. Couples in particular like the location – they rated it 10 for a two-person trip. This property is also rated for the best value in Bruges! Guests are getting more for their money when compared to other properties in this city. 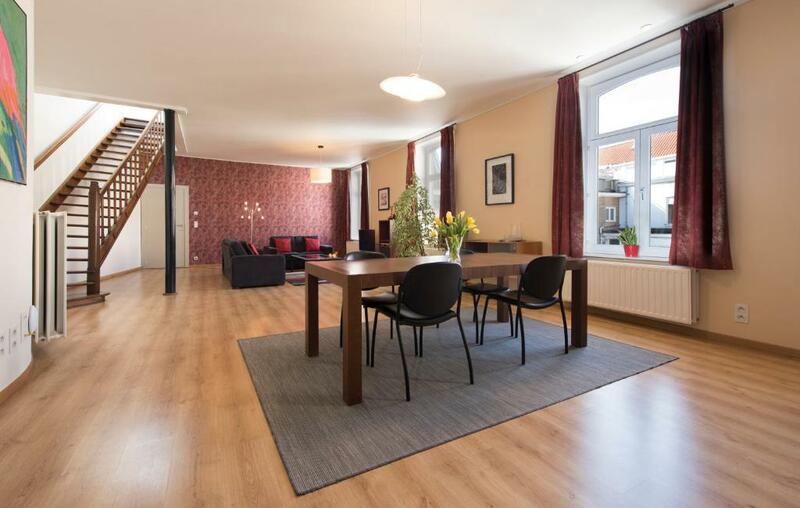 뀐 Located in the real heart of Bruges, this property has an excellent location score of 9.9! When would you like to stay at De Drie Koningen? This apartment features a fully equipped kitchen with oven, microwave, induction cooker, fridge, freezer, and kitchen utensils. The living room features a flat screen TV with a soundbar. It is possible to connect a smartphone to the soundbar speaker. The bathroom has a bath and walk in shower. The bedrooms feature box-spring beds. Private parking is available on site (reservation is needed) and costs EUR 10 per day. The living room features a flat screen TV with a soundbar. It is possible to connect a smartphone to the soundbar speaker. The bathroom has a bath and walk in shower. The bedrooms feature box-spring beds. The large living room features a flat screen TV with a soundbar. It is possible to connect a smartphone to the soundbar speaker. Each bathroom has a walk in shower. The bedrooms feature box-spring beds. Please note that this loft is not suitable for little children. This apartment features a dining area, electric kettle and seating area. The living room features a flat screen TV with a soundbar. It is possible to connect a smartphone to the soundbar speaker. The bathroom has a shower. The bedroom feature a box-spring bed. Hosted by Ann en ikzelf zijn uw gastfamilie. Nico. Ann en ikzelf zijn uw gastfamilie. Nico. 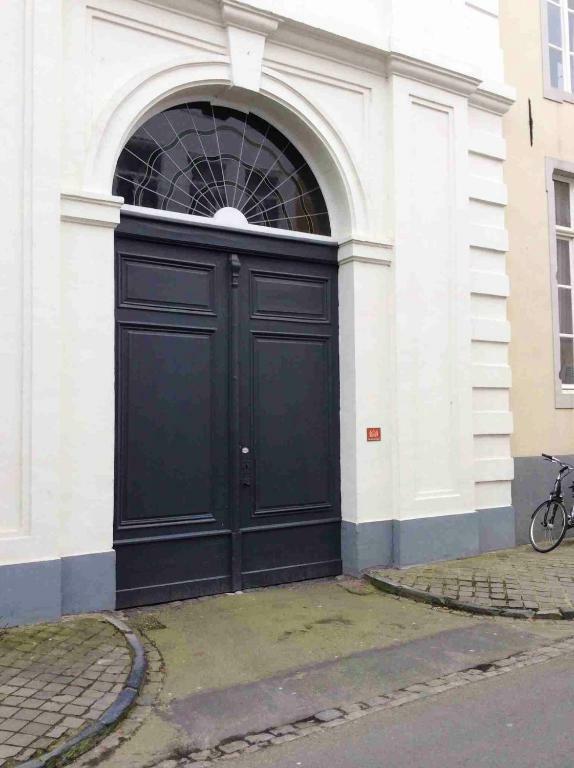 'De Drie Koningen' is een vakantiehuis in het centrum van de stad Brugge nabij de Markt en de Burg. Het pand dateert grotendeels uit de 14e eeuw en werd heringericht in 1839. Niet verwonderlijk dus dat de appartementen de sfeer van de 19e eeuwse herenhuizen uitstralen : hoge plafonds, decoratiepleister, versierde schouwen, spiraaltrappen... Bij verbouwingen in 2002 bleek dat het volldedige pand werd gebouw in 1370 en toen reeds functioneerde als 'gasthuis' of logement onder de naam 'De Drie Koningen' of 'Huyze St-Jacob'. Bij de renovatie werd een volledige 14e eeuwse kelder uitgegraven en doet vandaag dienst als receptieruimte. 'De Drie Koningen' is een vakantiehuis met 6 appartementen : van 2 tot 8 personen. Momenteel wordt alleen het appartement 'St-Donaas' via dit platform aangeboden. Wij zijn reeds 20 jaar gastheren in dit pand en zijn zeer nauw betrokken wat reilt en zeilt in De Drie Koningen. Kan ook niet anders als buren. 'De Drie Koningen' ligt in het hartje van de stad, op amper 250 meter van de Markt en de Burg. Toch is dit een zeer rustige buurt omdat toeristen zich zelden vertonen in deze buurt. Area Info – This neighborhood is a great choice for travelers interested in beer, atmosphere and ambiance – Check location Excellent location – show map Guests loved walking around the neighborhood! Brugge is straight out of a painting: its cobblestone streets and network of canals are overflowing with charm. Medieval church spires are nestled among its famous chocolate shops. House Rules De Drie Koningen takes special requests – add in the next step! De Drie Koningen accepts these cards and reserves the right to temporarily hold an amount prior to arrival. Fresh bread can be ordered each day but guests must reserve it, at the latest, at 20:00 the evening before. The bread is delivered in the morning by the local baker. Please inform De Drie Koningen of your expected arrival time in advance. You can use the Special Requests box when booking, or contact the property directly using the contact details in your confirmation. One of the most picturesque neighborhoods in Bruges! The smell at the main entrance (sewer related perhaps) was unpleasant but once in the apartment it couldn’t be smelled any more. The property is beautiful and well situated for quick access to the main square in Bruges. 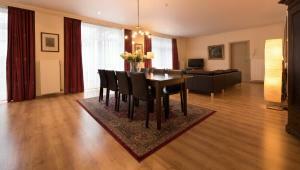 It is well looked after and has everything you could need for a weekend away. We would highly recommend this property to families or groups of friends. Easy to collect keys. All locks were PIN entry so really easy. The bed was confortable and the location superb right to the central market. The location is very good and the owner very helpfull. Highly reccomended. How soon it was all over. 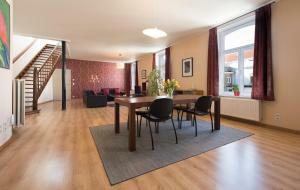 Great location and definitely the best equipped apartment that we've stayed in. Cosy, comfortable rooms. Trendy and modern interior. We loved the convenience of the honesty bar. We had a lovely stay and the location is superb. It was a very easy process to check in and out. Nico and Ann made themselves easily available to us during our stay. We would highly recommend and go back. Everything was amazing. The property is huge, clean and has everything you need! 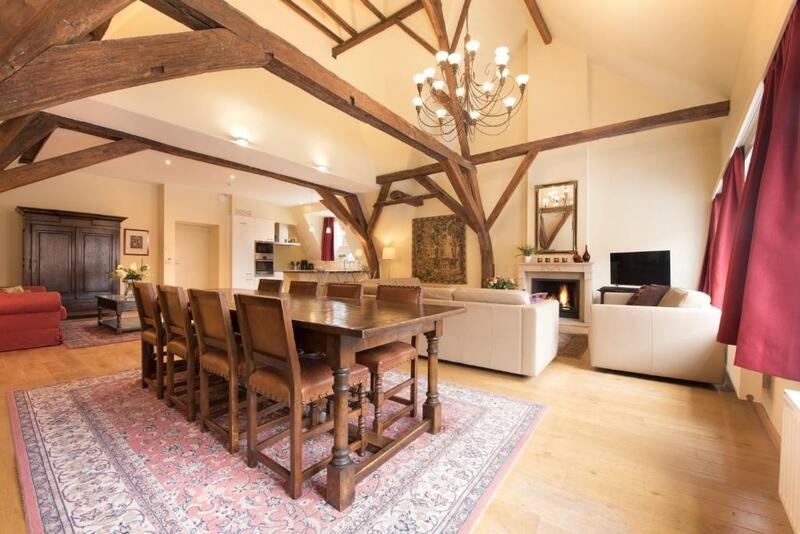 The property is very well decorated and the extended ceilings and beams are a real feature! Only a small suggestion but perhaps put a toilet in the bathroom or next to the bathroom,or at least a sink in the toilet room. The toilet was located the other end of the apartment to the bathroom. Location of this more of a challenge with children! Wonderful experience, so clean. Everything I needed and more. Location was great, well equipped kitchen, in keeping decor and loads of space! There was nothing not to like. 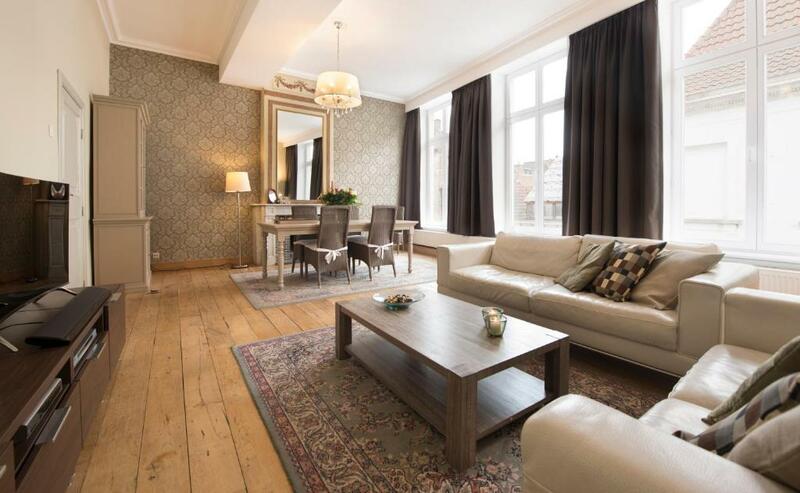 Great stylish apartment within spitting distance of all of Bruges. Keyless entry was brilliant. Comfy beds. Great well priced honesty bar. There was only one key for the toilets and bathroom, but this was such a minor issue it wasn't a problem! Fantastically easy and gorgeous apartment. Central, easy check in, bakery delivery in the morning, friendly and helpful hosts.